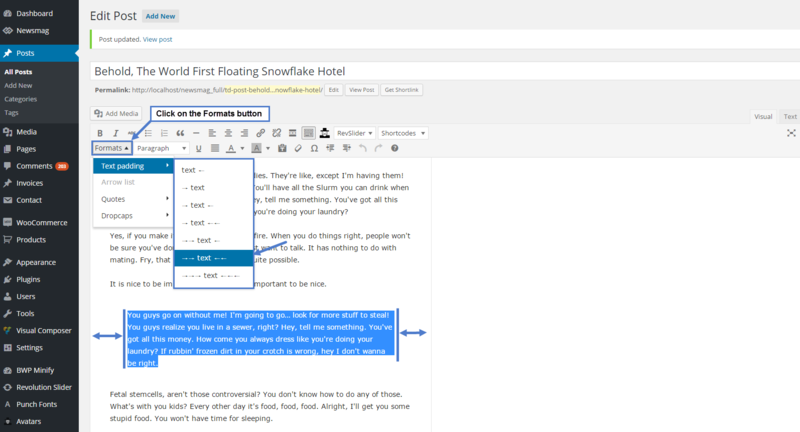 When having the default settings, in the WordPress editor, your post looks exactly like it will be on the website after you publish the article. 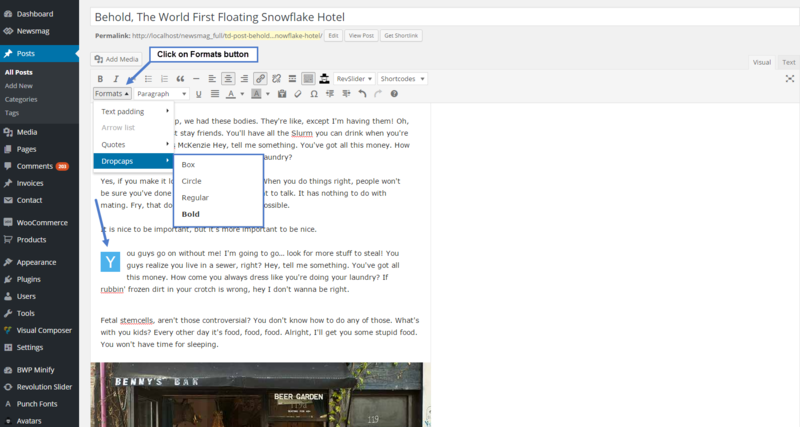 The text formatting settings, quotes, pictures or video, everything is now WYSIWYG. 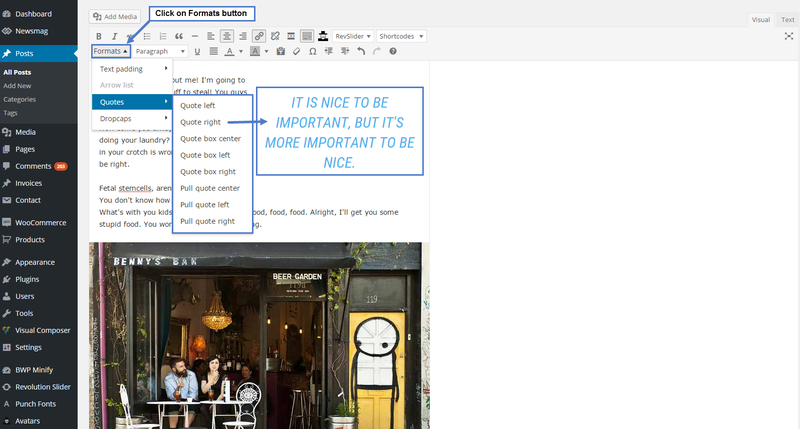 To see all the Settings from the Visual Editor, click on the Toolbar Toggle button. 1. 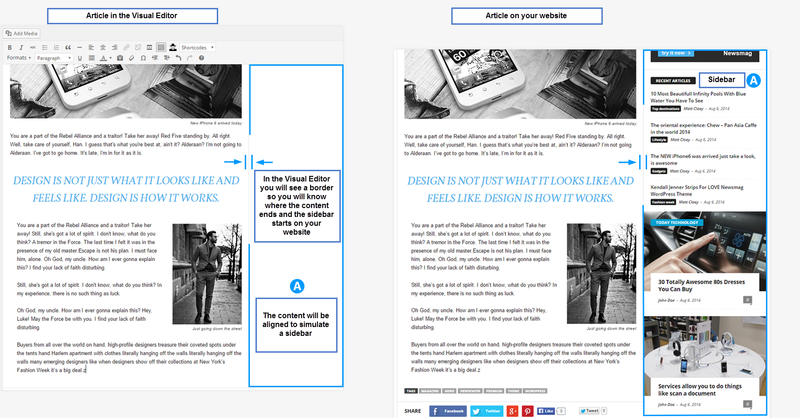 Text padding option – allows you to align the selected text. 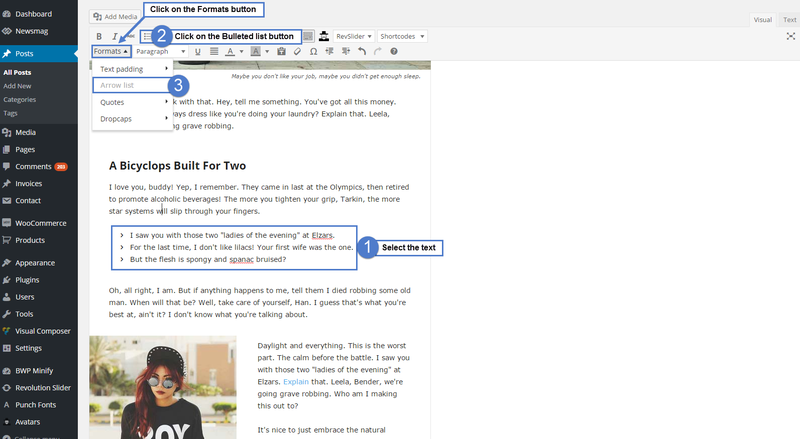 Each arrow sign shows you on which side a padding will be applied to the selected text. 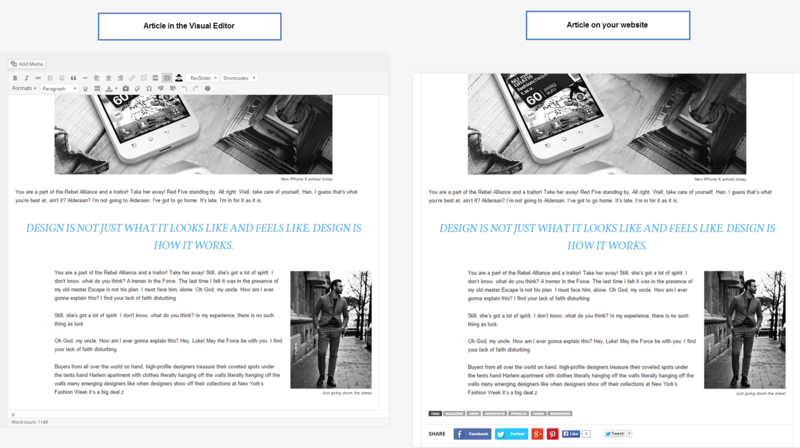 Now you have 7 ways to style your text. 4. Dropcaps – This option lets you set up a dropcap with style. There are 4 types of dropcaps. The default color of the dropcap is the default theme’s color, but this can be changed from the text/background color editor, individually for each dropcap. 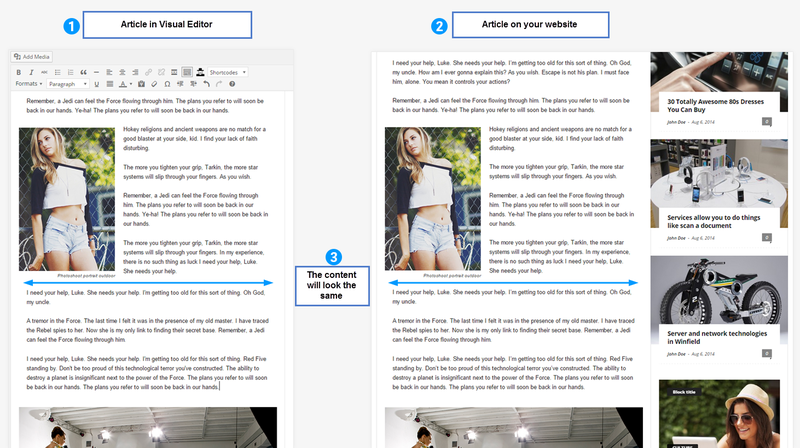 This will help you create better visual-looking articles from the start, with no extra adjustments.